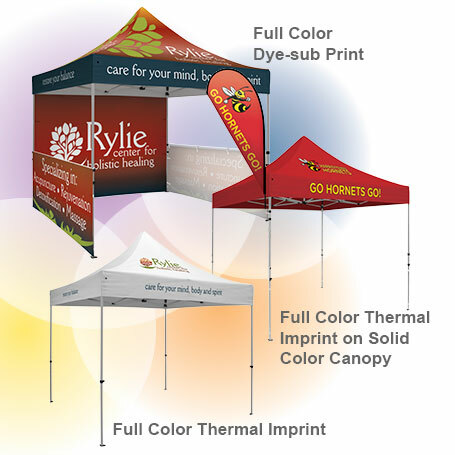 The Pop Up Canopy Event Tent provides maximum visibility and shelter ideal for craft fairs, farmer’s markets, trade shows, tailgating and promotional or sporting events; indoors or outdoors. It features a durable, lightweight, rust free aluminum frame, great for more frequent use. Multiple location print options available using full-color thermal imprinting or full-color, full bleed dye-sublimation. See how we can help you target your customers and prospects with our cross media marketing solutions.